This collection features the work of eight of the most influential African American writers to emerge from the Harlem Renaissance period. The pieces range from Larsen’s “Quicksand,” which seems part drawing room satire and part liberal conundrum, to Hughes’s “The Blues I’m Playing,” which details the racism of an oblivious white woman with cringe-worthy realism. The most alluring aspect of this collection is the stark contrast between the pieces in mood, plot and tone. Not one of them is less than inspired, and with palpable passion each author draws forth the world apart that was Harlem during its genesis, and the culture it spawned. Hurston’s pieces, for example, not only convey her thoughts on race, but also on gender. “Sweat”—which ends with a fatal lesson for an abusive and unfaithful husband—emphasizes the strength and self-possession of its African American female protagonist. This is no surprise to fans of Hurston’s masterpiece, Their Eyes Were Watching God, which could arguably be called the pioneer of the African American woman as heroine ideal. Toomer’s piece, “Karintha,” moves gracefully toward its reader with the poised poetics and semi-surrealism of a song or psalm. It resonates deeply and eerily, bewitching us with its smoky beauty. Racism, as well as race itself, is presented throughout this collection in many forms. Not only can it be detected in the lives of the characters, in their struggles, and between the seams of their relationships, but in the overall sense of sorrow and endurance that clearly echoes the time period and the artists whose tales we are blessed with here. There is a definite sense of urgency surrounding each piece, an urgency not only to define the term African American, but to fully carve out what that term can bring to art and what it can take from art as well. 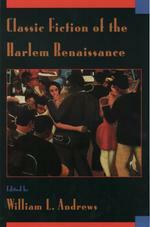 This is a must read for scholars of the Harlem Renaissance and lovers of New York.